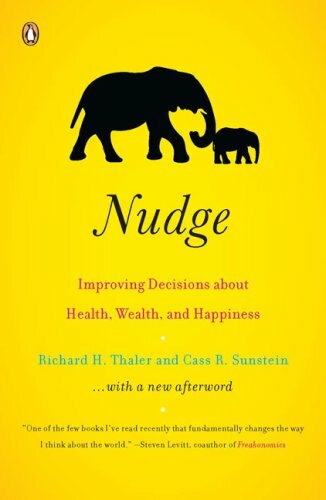 Thaler and Sunstein discuss at length how choices are designed and how we can make better decisions – personal finance, health, relationships, the environment, retirement benefits, organ donations, etc. We are heavily influenced by others even if they don’t mean to. In groups of 7+, people eat 97% more! Speaks of default options for organ donations, voting, health care costs, tragedy of the commons, privatizing marriage, the environment, etc. This entry was posted in Books and tagged Cass Sunstein, Decision Making, Psychology, Richard Thaler on June 2, 2015 by Blas.